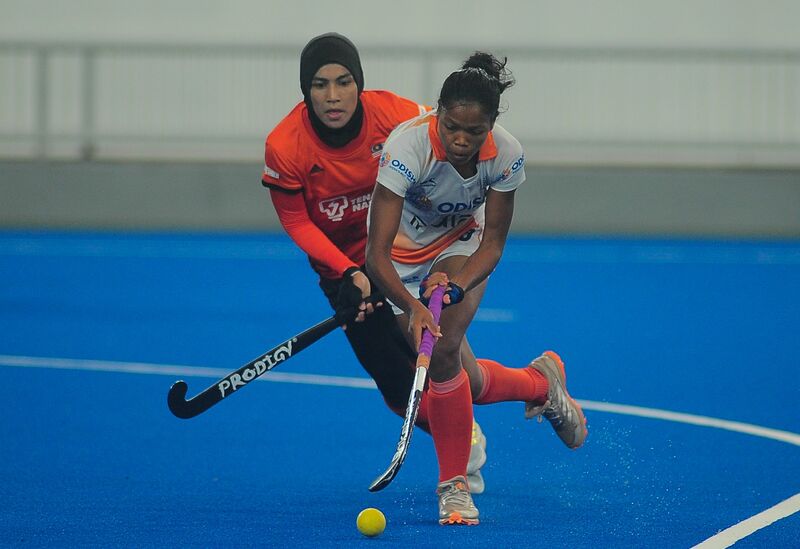 Kuala Lumpur (Malaysia), 10 April 2019: The Indian Women’s Hockey Team struck a late goal through youngster Lalremsiami to win the match 1-0 against hosts Malaysia and also register a 3-0 Series win in the on-going five-match Bi-lateral Series here on Wednesday. Though it was Malaysia who made a strong start with an early PC in the first minute of the game, a very alert India goalkeeper Savita made a good save. India too earned a PC in the following minute but did not succeed. With India’s ace dragflicker Gurjit Kaur missing the tour due to an injury, India struggled to convert PCs, having lost out on five penalty corner opportunities in today’s match. But the team did well to sustain pressure with tight marking inside the circle giving Malaysia no real chance to take a shot on goal. Having missed out on PCs, India looked for a potential opportunity as minutes ticked raced away in the final quarter. It was Navneet Kaur who set up a splendid goal for Lalremsiami who made a diving effort to help India win. “We played very good third and fourth quarter where we created good scoring opportunities. This is something we want to execute much better tomorrow and especially improve our on-field decision making,” expressed Sjoerd Marijne, Chief Coach Indian Women’s Hockey Team after the victory.